In today’s edition of The Times we hear that wolf-like breeds of dog – Huskies and Malamutes – are turning up in rescue centres in increasing numbers, fuelled by the popularity of series like Game of Thrones. Attracted by the idea of embracing life alongside a bear-like beast of such obvious magnificence with more than a hint of the wild wood about it, folk who haven’t thought things through are taking home cuddly pups which very shortly develop into massively strong, intelligent creatures hungry for meat and exercise, increasingly unmanageable and aggressive without enough training and work to occupy them. 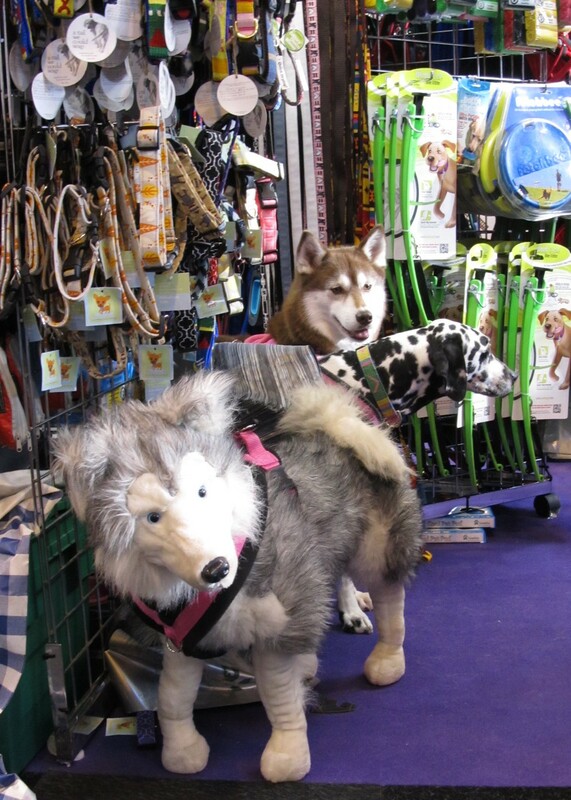 Even with a major commitment of time, energy and finance, such dogs can rarely be allowed to live the life they need, so our collective hearts sank when an Alaskan Malamute won Best of Working Group, giving the breed another boost, with all that that entails. The whirligig of canine fashion is swift and sickening: in recent years the Staffie has been the most common abandoned breed, along with various pit-bull lookalikes resulting from cross-breeding for strength, size and aggression, but now the modern home is incomplete without the ultimate fashion accessory, the fantasy dog for a fantasy life. Quite by chance this funny, serendipitous photo taken at Crufts last weekend captures the current trend perfectly: the traditional Dalmatian flanked by the dogs of the moment.Perhaps a stuffed toy sitting in the living room would be a better choice for the hundreds of individuals who decide they can’t manage a real one. As the competition turned out, it was pleasing that the top prizes went to two traditional British breeds, the Scottish Terrier and the Flat-Coated Retriever, but this probable up-turn in popularity will bring its own problems, as celebrity ever draws the fashion-conscious. Designer crossbreeds have proved another fashion, with serious health consequences in many instances, Cavachons for example bringing together two small breeds – the Cavalier King Charles Spaniel and the Bichon Frise – each independently troubled by heart problems. Uncle Nunu and Barnaby know well enough from their time on Discover Dogs that far too many people thinking of getting a dog are starting out from places of ignorance: believing, for instance, that a dog can be left alone from day to day for hours on end and that the only real question to ask is whether one breed is better able to endure this isolation than another. 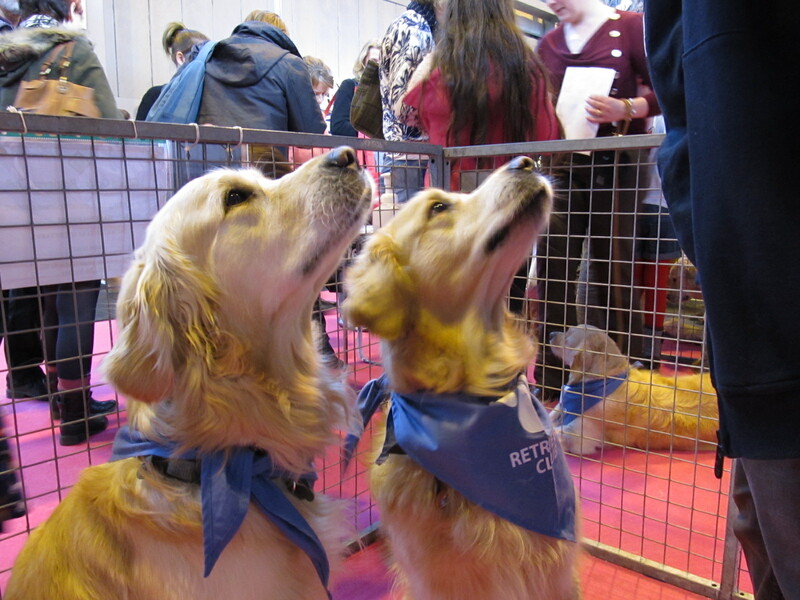 In their days on the Golden Retriever stand, they met with only one person planning to buy a retriever as the result of careful and informed consideration, asking genuinely insightful questions about the relationship that dog would have to their family. Theirs will be a lucky dog and he will have a happy, dog-centred life. Next ›These late eclipses . . .